Panasonic AC specialists are able to offer you qualified advice, competitive pricing and professional installation on any Panasonic AC system. Panasonic AC specilaists have access to models and after sales service that are unavailable to retailers. 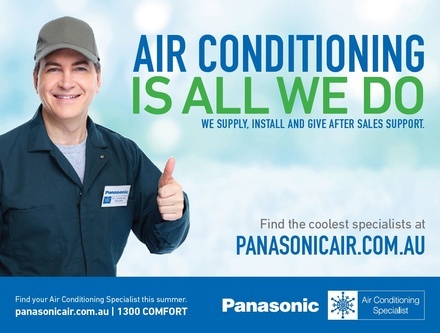 For total peace of mind on all your AC needs call 1300 COMFORT or go to www.panasonicair.com.au/specialist-locator to find your local specialist.